The Cincinnati/Northern Kentucky International Airport and Kentucky Career Center are partnering to create a new area for job seekers. 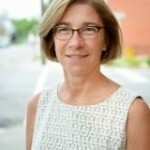 CINCINNATI – Tammy Weidinger, President & CEO of Northern Kentucky’s nonprofit Brighton Center, has recently been elected to The Health Collaborative (THC) Board of Directors. Ms. Weidinger will serve in a Community/Consumer stakeholder capacity for a two-year term ending in December of 2020. On Wednesday, March 27th the Northern Kentucky Chamber of Commerce recognized local business through its Business IMPACT Awards and Brighton Center was honored to be recognized with the Community Champions award.​ The awards recognized businesses impacting the NKY community through innovation, creativity, strong business practices, and leadership. Thank you Northern Kentucky Chamber of Commerce and everyone in the community who makes it possible for us to continue our mission of creating opportunities for individuals and families to reach self-sufficiency. 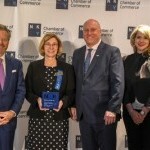 (March 13, 2019) The Citi Foundation and the Local Initiatives Support Corporation (LISC) today announced new funding through the Bridges to Career Opportunities initiative (Bridges) to help connect unemployed and underemployed people in the greater Cincinnati area to quality jobs in growth industries. On Friday, March 8, Kentucky U.S. Senator Rand Paul and his wife Kelley made a stop to visit Brighton Recovery Center for Women. 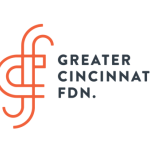 Brighton Center’s Youth Leadership Development (YLD) program recently received a grant award of $25,000 from the Greater Cincinnati Foundation to increase capacity for providing Case Management services. 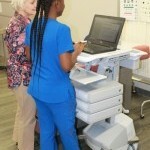 The funds will provide an integrated service delivery model, work holistically with families, and connect them to services needed to be successful. We, along with all United Way funded programs, will receive a 20% cut in our allocation starting January 1, 2019. For Brighton Center, that means we must deal with a $263,000 shortfall to start the New Year. We did get an indication in mid-November that allocations would more than likely be reduced by 15-20%, but now the news is official. Let’s not forget though, that we will still be allocated $1,052,000 for our programs in 2019. All allocations were posted on United Way’s website. We are grateful for that and will continue to do amazing work with their investment. We, along with all United Way-funded programs, will receive a 20% cut in our allocation starting January 1, 2019. For Brighton Center, that means we must deal with a $263,000 shortfall to start the New Year. We did get an indication in mid-November that allocations would more than likely be reduced by 15-20%, but now the news is official. We will still be allocated $1,052,000 for our programs in 2019. All allocations are posted on United Way’s website. We are grateful for United Ways continued support of our programs and will continue to do amazing work with their investment. 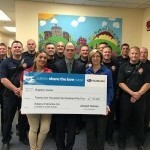 Once again, Subaru has chosen Brighton Center as their local charity to support during the "Share the Love" campaign.